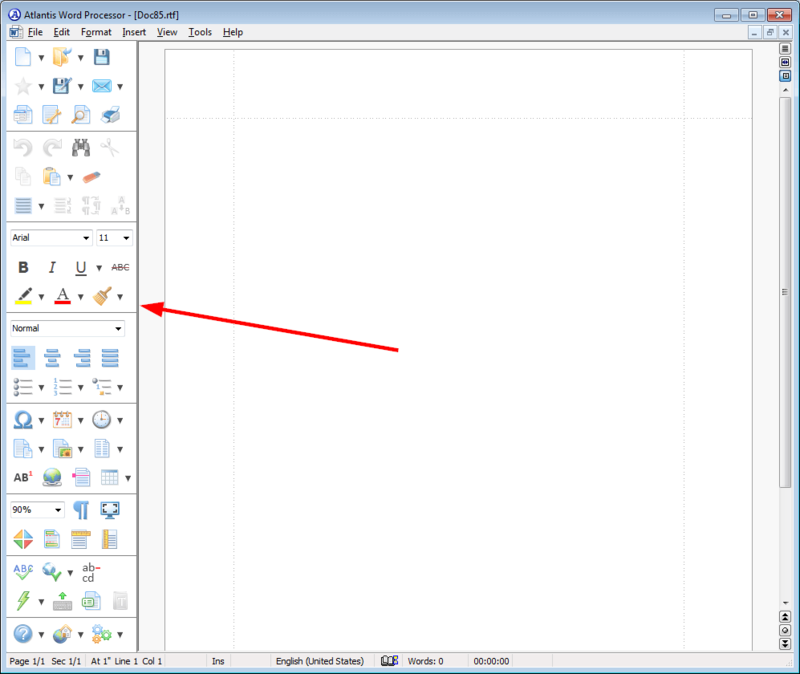 You can quickly enlarge or reduce the left indent of a selection of paragraphs. Press the Ctrl+M keys or the Ctrl+Shift+M keys respectively. 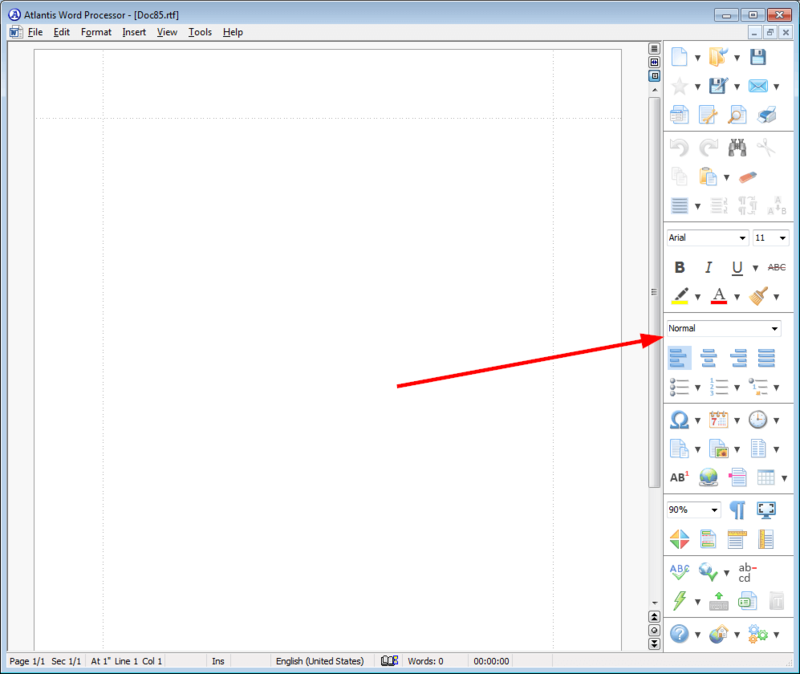 Each of the toolbars includes commands belonging to a specific category. 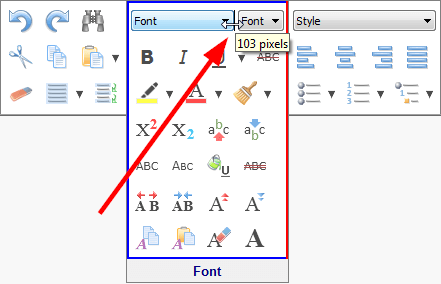 Atlantis has many context toolbars dedicated to specific document features such as tables, headers/footers, footnotes/endnotes, hyperlinks, pictures, document projects, etc. 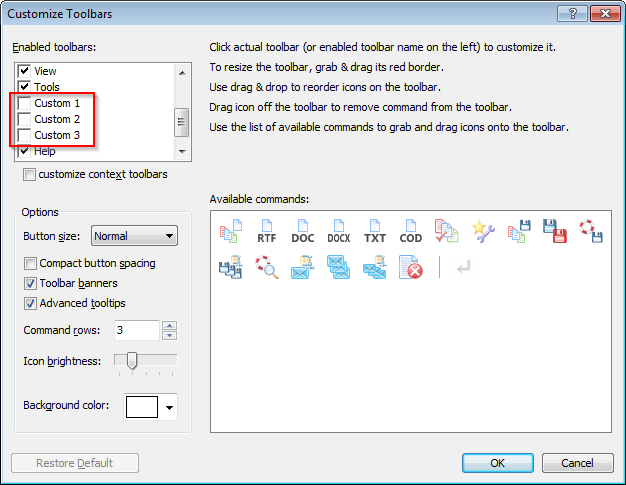 Clicking tolbar buttons executes the associated command. 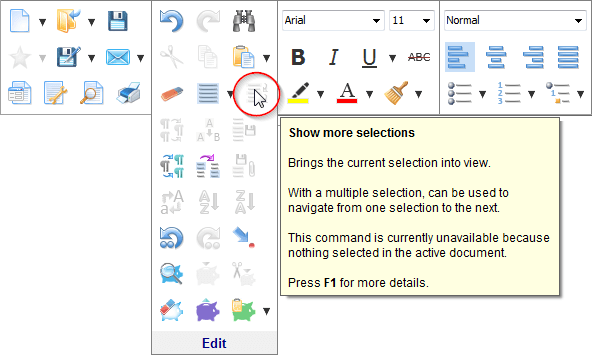 In case with combo boxes, you will normally use them by choosing an item from the drop-down list attached to each combo box. 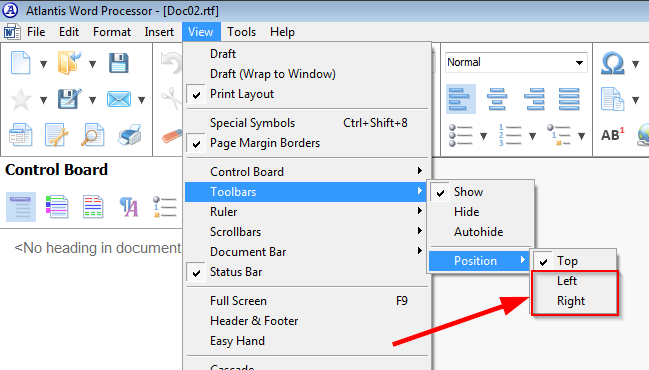 Vertically aligned toolbars will be useful on systems with wide screen displays providing you with more space for document contents. 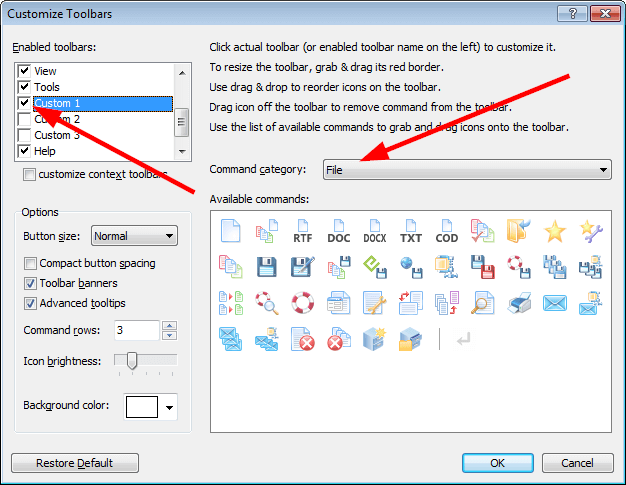 where you can toggle individual toolbars on or off, resize toolbars, change the commands displayed on each individual toolbar, customize the background color of toolbars, button size and spacing, and other options. 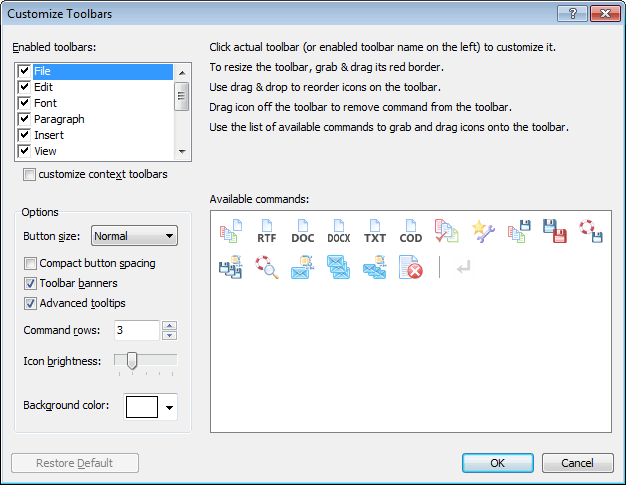 By design, each toolbar can only host commands from its own category of commands. 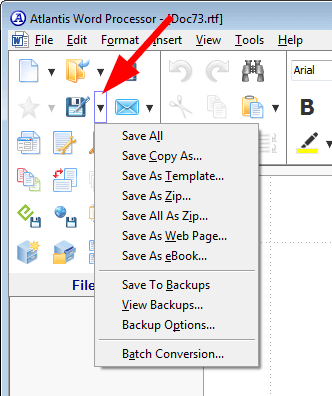 For example, only commands from the "File" category can be placed onto the "File" toolbar.